Tissues. Eye drops. Antihistamine. The seasonal allergy survival kit is all too familiar in our home. Following the progression of allergy symptoms in my kids and myself, I've gained a greater understanding of the fact that not all allergy symptoms are the same. While I'm barely able to catch my breath following a succession of 15 rapid fire sneezes, my youngest son's runny nose sniffles are endless, ever-flowing nasal drips. 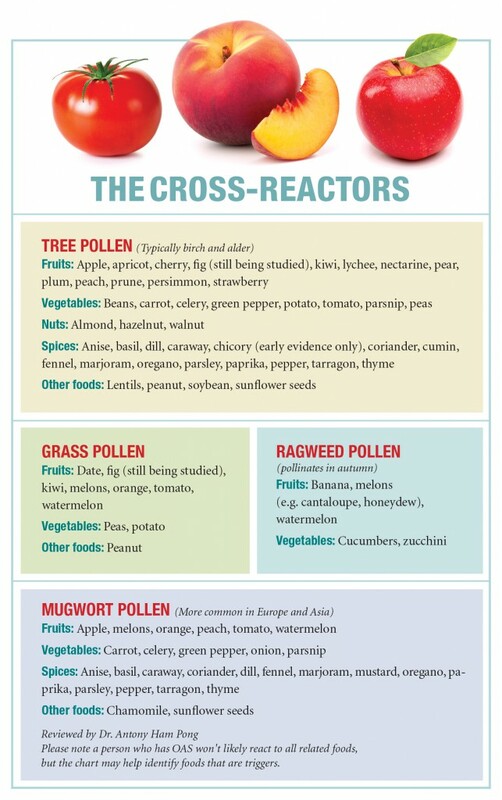 Environmental elements and seasonal fruits and veggies have the potential of increasing Hay Fever allergic reactions. Maintain your stock of allergy survival kit essentials and beware of these seasonal allergy triggers, especially with little ones encountering first-time exposure to new experiences. Thank you to ChildLife for the courtesy of providing promotional product for editorial content purposes. Information about this product is provided for informational purposes and is not meant to substitute for the advice provided by your own physician or other medical professional. Oral-Allergy Syndrome (OAS), also referred to as Pollen-Food Allergy syndrome as it’s also known, happens when our immune system reacts to similar proteins in certain foods and pollen. Reaction symptoms are typically mild, including itching and/or swelling of the mouth, lips, and throat. Parents and caregivers should be aware that these reactions can develop in toddlers following first exposure to seasonal ragweed, tree or grass pollen. Hay Fever allergic reactions are generally set off by airborne pollen allergens. Monitoring daily pollen count levels and weather forecasts with American Academy of Allergy and Asthma Immunology's (AAAAI) National Allergy Bureau (NAB), help to alert allergy sufferers when particular pollen counts are predicted to be higher than normal, preparing for potential allergy triggers. 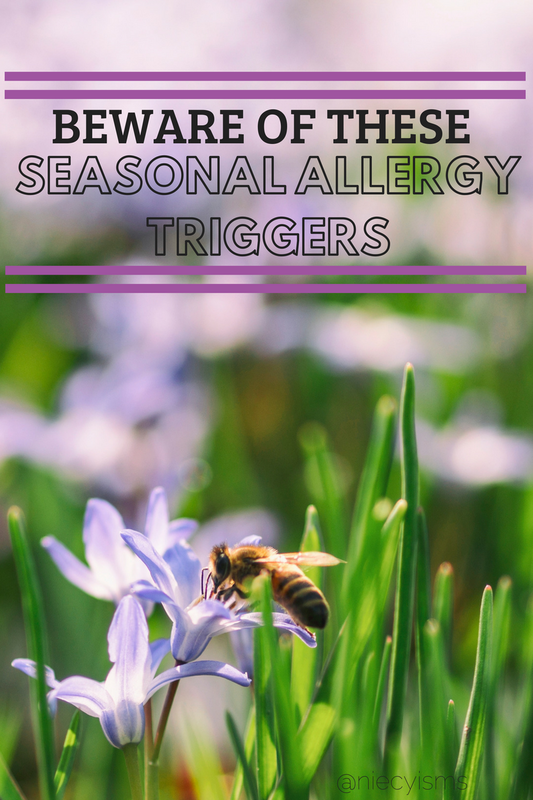 When taken prior to coming up against the heartless effects of pollen, antihistamines and supplements can work to diminish the severity of symptoms. Sensitive, itchy eyes and noses are more likely to feel the effects of irritation when swimming in chlorinated pools. Irritants such as chlorine have been known to cause asthma symptoms treated which make appropriate asthma medication essential to keep readily accessible if needed. Appropriate doses of antihistamine before swimming in pools treated with chlorine will act to treat and prevent seasonal allergy symptoms. Avoiding the presences of mold indoors and outdoors is no easy task. Taking action to prevent the growth of mold in your home by reducing moisture and humidity is your first line of defense. Not always visible upon observation, mold allergy symptoms include congestion, nasal drip, sneezing, eye irritation, coughing, itchiness, or asthma symptoms. *Note* - You should not use the information contained herein for diagnosing or treating a health problem or disease, or prescribing any medication. You should read carefully all product packaging. If you have or suspect that you have a medical problem, promptly contact your health care provider. Information and statements regarding dietary supplements have not been evaluated by the Food and Drug Administration and are not intended to diagnose, treat, cure, or prevent any disease.